This idea is inspired by the Fruity Water Gate featured on the Yanko Design website. It is a waterfall that protects your food from the air and insects. 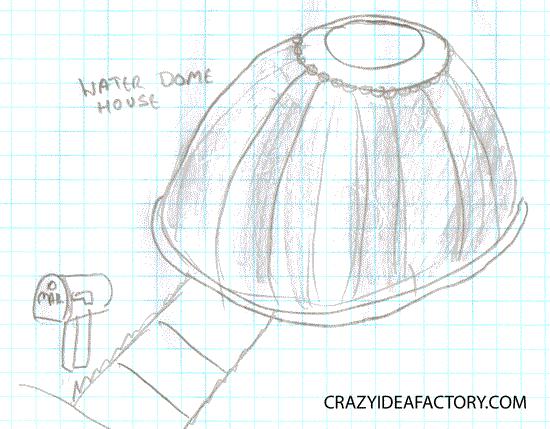 Growing this waterfall dome protection idea to a grander scale would make a pretty cool tent, or maybe even a house. How cool would it be to tell your guests “Please step through the waterfall into the magical realm in which I live.”?